The Nun, billed as the darkest chapter in The Conjuring universe to date (so far) is heading to Blu-ray/DVD and digital platforms just in time for the holiday season. Warner Bros. and New Line have had a lot of success with this franchise so far and this latest spin-off proved that, at least for the time being, this cinematic universe is nearly bulletproof. Now, those who enjoyed the horrors this movie had to offer can bring home the terror for themselves starting next month. On November 20, The Nun will arrive on digital platforms. For those who are holding out for a physical copy, the movie will be released on Blu-ray/DVD on December 4. Could make the perfect stocking stuffer for the horror lover in your life. As far as bonus features go, the home release comes with more than ten minutes of deleted scenes and the featurettes A New Horror Icon, Gruesome Planet and The Conjuring Chronology. The cast includes Demian Bichir, Taissa Farmiga, Jonas Bloquet, Charlotte Hope, Ingrid Bisu and Bonnie Aarons as the demon nun Valak. The character originated in The Conjuring 2 and was met with such a positive reaction, despite being a last-minute addition to the movie, that the studio and James Wan, the creative force behind the franchise, decided to give the character her own spin-off. The Nun takes place years before the other movies in The Conjuring universe timeline, as a priest and a young woman are sent to Romania to investigate the death of a young man, only to come face-to-face with Valak. 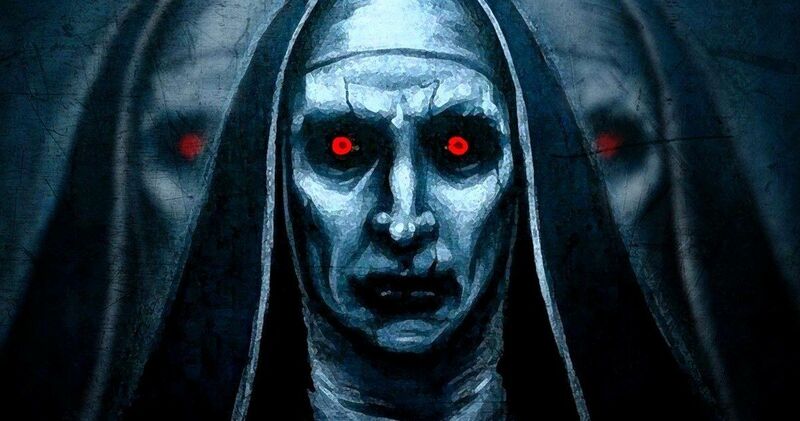 Despite the fact that critics weren’t buying what The Nun was selling, as the movie currently holds just a 26 percent approval rating on Rotten Tomatoes, the Corin Hardy directed spin-off went on to become a huge success at the box office. As of this writing, the movie has grossed $361 million worldwide, making it the highest-grossing entry in the franchise to date. The previous record was held by The Conjuring 2, which pulled in $320 million during its run back in 2016. Critics be damned, people really want to see what this universe has to offer. Though, for the sake of longevity, it certainly wouldn’t hurt to make movies that earn more favorable reviews in the future. Next up for the franchise is Annabelle 3, which recently kicked off production and will see the return of Patrick Wilson and Vera Farmiga as Ed and Lorraine Warren. That spin-off will be directed by Gary Dauberman, who penned The Nun and will be making his directorial debut. The Conjuring 3 is also finally moving forward with The Curse of La Llorona director Michael Chaves. Those looking to pre-order a copy of The Nun can do so by heading over to the movie’s official website, TheNunMovie.com. You can check out the cover art for the Blu-ray release below. Will We Get More Unbreakable Sequels After Glass?